In an interview with USA Today, Donald Trump suggested that he would maybe reach out to Marco Rubio for a potential vice presidential spot. “There are people I have in mind in terms of vice president. I just haven’t told anybody names. … I do like Marco. I do like (John) Kasich. … I like (Scott) Walker actually in a lot of ways. I hit him very hard. … But I’ve always liked him. 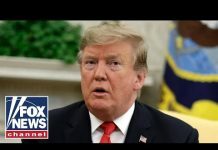 There are people I like, but I don’t think they like me because I have hit them hard,” Trump said. Previously, he had suggested that he’d pick a vice president with more experience than himself. 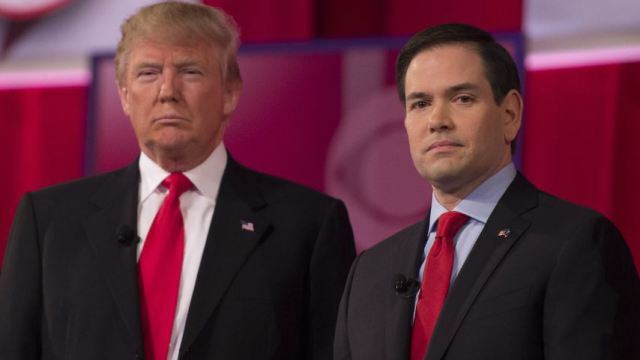 Rubio and Trump left things on a bad note prior to the former dropping out of the race. Read more at USA Today. Rubio seems to have a core decency that isn’t compatible with Trump. Many people lost respect for NJ Governor Chris Christie when he endorsed Trump and Rubio would be hurt at least as much by going over to Agent Orange. Trump would be very smart to pick Rubio and Rubio would be a fool to turn Trump down. Trump would gain alot of support from Republicans who simply won’t vote if he’s the nominee. They won’t vote for Clinton (or Sanders) so they’ll just sit out this election. But with Rubio on the ticket, that would be enough to get them to come out and vote. He is giving up his Senate seat and he lost Florida in the primaires. His political career is about over. This would not only restart it, it would supercharge it. Assuming they won, he’d be the frontrunner for 2024 – when he’d be a still young, 53, and with a boatload of experience (which he doesn’t have now). Also, al tiftach peh lesatan, but Trump is 70. Rubio would be a heartbeat away….